I had to catch something today, and I figured a late evening walk to the nearest farm pond would suffice. I tied on some 5x and a little deer hair popper. It got me one Bass and one Bluegill, the two main species in the pond. I the changed to a cicada and got into a big Bluegill. The last dries I used were drake patterns, and they were eaten by more small fish Seeing a big of commotion from big fish I changed to a stronger tippet and an articulated streamer. It wasn't long before a good fish took and was lost by way of a lame hook set. It wasn't long before the streamer picked up another bass, though. Both fish took when the fly was sitting on the bottom, nose down. The take was just like that of a soft plastic, a gentle lift followed by the line going out. Farm ponds are always great. They often have plenty of fish, and some are big. If you are looking for fun, you needn't always look far. (and then again, I've gone pretty far for 4 inch Native Brook Trout) That farm pond is practically in my backyard. I was out today traversing the shoreline. I did some fly fishing, although I was unfortunately shore-bound. While driving on the lookout for spots to stop some swans were found. They made for some good photography. 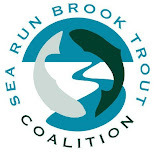 The first fishing location was at the mouth of the Connecticut River. 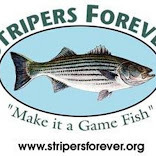 The carcasses of osprey killed Stripers gave me some hope. I spent a while fiddling around with assorted patterns. then the Bunker Blitz began. I have some big menhaden patterns, but was well out of casting range. I could only watch the carnage unfold, and frantic bunker leaped and were knocked around by Blue fish and Striper. What I would have done for a kayak! Then the position change was made and the location looked promising for snapper. I didn't get any though. Next time. I might be in Rhode Island tomorrow. Who knows what I'll find there. I went back to the river my father and I fished Sunday. It was in mid-afternoon, so I wasn't expecting to much interest from the big 18-20 inch fish, but I was looking forward to landing some Green Sunfish and Smallmouth on dries and poppers. That was exactly what happened. The next change was to a popper, which produced some more smallmouth. Just before leaving I heard a plop behind me, and something with grass attached swam parallel to the bank. Upon investigation I found it to be a painted turtle, and decided to catch it. It hissed a lot, and was covered in leeches. I removed the parasites and set the agitated reptile down. It gave one last his before quickly swimming off. Today I spent a good chunk of time in the Long Island Sound on the kayak. Part was spent unsuccessfully prospecting a ledge for big bluefish and striper. The rest of the time I was catching a snapper on every cast in the Four Mile River. They wouldn't touch anything that was going less than mach speed, I was catching on a shrimp skated on the surface and a small spoon retrieved just under the surface. The fish were small but fun none the less. I had planned today to go up to the Farmington with my father, but his morning we examined the forecasts and models. It appeared that we would be rained out, making it hardly worth the long drive to sit in the car, watching fish rise and lightning strike. We decided to got to a local river for Smallmouth Bass, Carp, and Sunfish. Although there are some big ones in that stream, we ended up catching dink after dink, but still having tons of fun doing so. Even the little ones don't give up, and jump enough to satisfy. I would say they are at least even with wild Brown Trout in there fighting capabilities. Eventually Dalton hooked into a fair sized smallmouth, one just a bit bigger than 17 inches. Although the catching wasn't to busy, We had some fun and learned a little. I went carp fishing today in a brushed in pond. I had to use small stream tactics to approach and present flies to feeding carp. Unfortunately I was not met with success, despite getting some good presentations in front of feeding fish with very productive flies. When I couldn't find feeding fish I cast a Heddon Torpedo with the spinning rod. Surprisingly the only fish to take it was a dinky bluegill. I went out for carp today. The chosen water was a small pond connected by culvert to a larger lake. It is often the feeding ground of big commons. I saw one immediately upon arrival. I tried in vain to get a fly in front of him. Luckily another showed up, and began mudding in the roots of some vegetation. I waited and watched him for a while. He was a very good fish, 15, maybe 16 pounds. I got very close to him, being that his head was buried in a muddy cloud. I was able to dap the fly right on his nose, and he sucked it in willingly. It was off to the races. The fish took off, paralleling the bank of the roughly circular pond for about 100 ft. At one point I could feel taps on the line, which no doubt were roots dangling from the steep and undercut parts of the bank. I turned the big boy and He came back very reluctantly, then attempted a run into a bush. I wouldn't allow that. The fish then took a move I did not expect. I came into shallow water, shoved his face into the leaf litter, and... succeeded at dislodging the hook. I quietly sat down on the bank and watched the water. No feeding fish showed themselves for the better part of an hour. I left in a funk. I don't get that many chances to get into a nice carp, and it stinks to blow it. Tomorrow is a new day, and Dalton and I plan to go out in the kayaks somewhere. Maybe I will get lucky and find an even bigger carp to prick. I finally got back out on the water to throw big flies for Largemouth. I spent a short time on Moodus reservoir. Dragonflies were all over, and Bass and Panfish were jumping for them. Luckily a popper was just as welcome. I also tried a big articulated streamer to dredge some big bass off the bottom. I had some hits, but the only catch was a yellow perch. When I landed him I made the mistake of dropping him, and the trailing hook of the fly snagged a very precarious part of my shorts. All was saved with a quick cut from a pocket knife. Today I went out to the small stream again. I spent a while in my normal area. I wasn't having to much luck, but I did get two nice wild Brown Trout, both on the Ausable Bomber. In this big pool I saw what I thought was a decent Brown rising. However it ended up being the Salmon Parr in the picture bellow. I had expected, as is usually the case, that the further I went the chubs and browns would transition to smaller brown and then eventually brook trout. It appears this stream is the reverse. I highly doubt there is much angling pressure in that stretch of water, SO WHERE ARE THE TROUT? It looks good, its cold, and has plenty of food (including millions of big crayfish). Maybe I was just unlucky. I've been getting into tying big articulated streamers lately. Before I get more into this, I discovered not to long ago that the fur my dog sheds that usually ends up in the garbage is the perfect fly tying medium. So, I started grooming him and saving the underfur. I have one gallon bagful so far. I have used it in a few very productive new nymph patterns. It was just yesterday that I realized it would make a mad streamer head! The best product of my effort so far has been this pattern: I call it Bighead. With any luck later this year the big Brown Trout that inhabit the Farmington river will be chowing it down. I went sight fishing for carp this afternoon. It seemed that it would be the least strenuous fishing I could do. Those who sight fish know It takes a little bit of moving around and lots of careful observation. I tend to watch a fish for a long time until I dump a fly near it. Today I had a hard time. I saw the first bubbler a half an hour in, and the first tailing fish another hour later. I manage to get one good cast in front of that fish, but it went uneaten While I was photographing a tailing fish, another came up and 'kloomped' some unfortunate mating pair of damsels. They were all over the lily pads, and bluegills had been eating them. Although I didn't hook into a poor man's bone fish, a couple of bluegills kept the skunk away. Carp #2 (of 2014), a PB Fish!